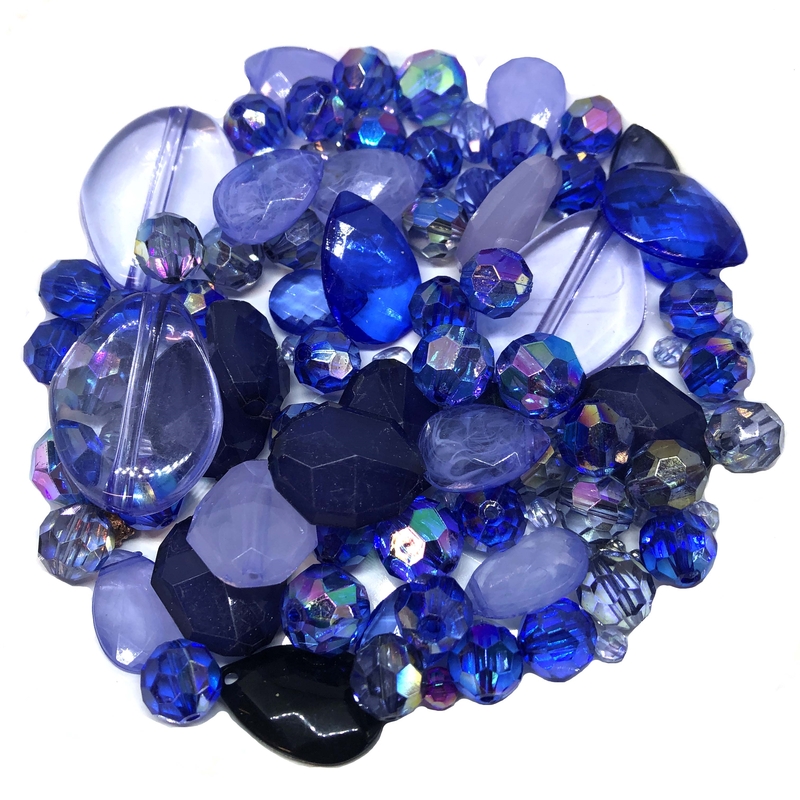 Moody blue bead mix. Chunky bead assortment. All in shades of blue, faceted ab, large medium and small tear drop briolettes. Some clear, swirl designed and matte. Measures from 4mm to 50mm. Huge assortment. Over 4 ounce lots.